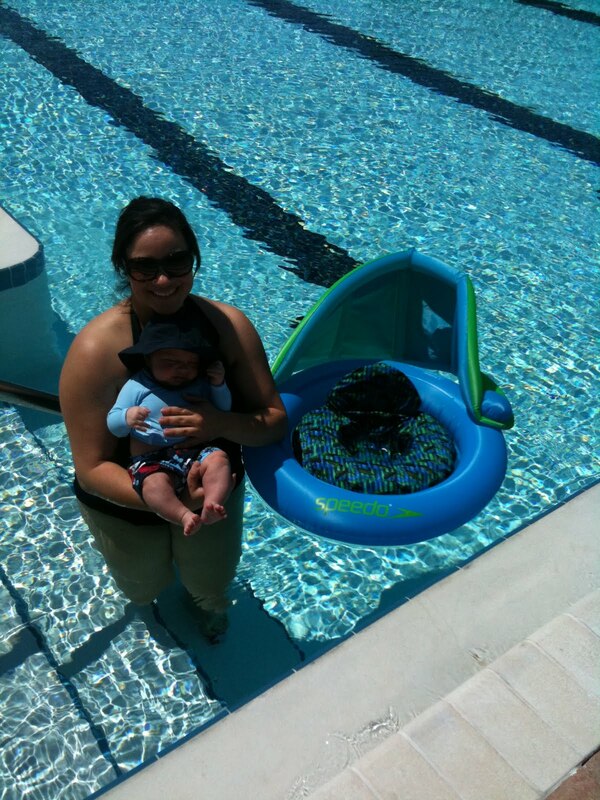 My friend Amy and I decided to take Jax to the pool for the first time today. He loves bathtime so I was eager to see how he would do in the pool. It's been hot here lately and I figured the water would finally be warm enough. 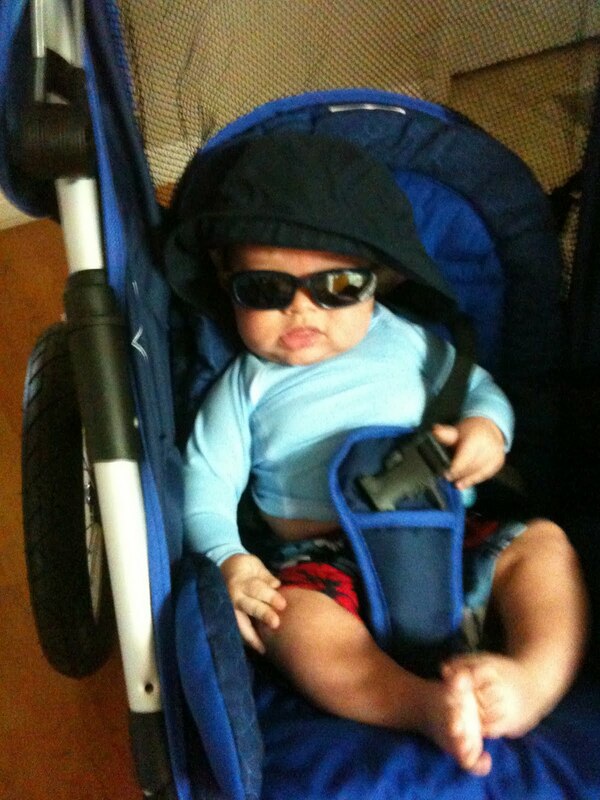 So we got him dressed in his swim clothes and headed out. 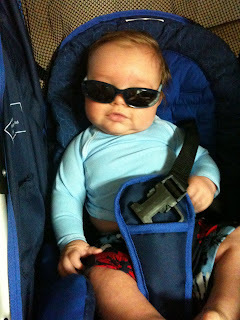 Here he is in his bathing suit and shirt with hat and sunglasses (It's definitely a learning experience having a fair skinned baby! I always tan easily but I don't think that will be the case for Jax, so I had him covered head to toe. Especially since he's too young for sunscreen). When I first put him in the raft in the water he wimpered (the water was a little cooler than I expected it to be and I was afraid he was gonna cry) but after a minute, he was fine. He kept leaning back in the raft with his hands in his mouth trying to fall asleep! I think he thought he was on vacation! Here we are together trying out the water for the first time. After about 10 minutes I got him out and changed him and put him in the stroller in the shade. He sat there for about an hour just looking around and playing with his hands while we swam. He is SUCH a good baby! Overall, I think the day was a success. It makes me look forward to summer and all the fun pool days ahead!